Here’s a fun family activity for the holidays! 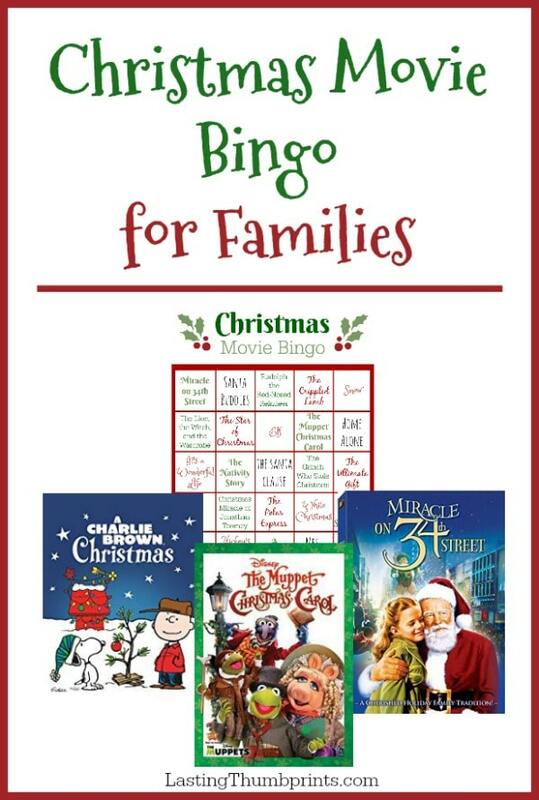 Snag this Free Christmas Movie Bingo Printable at Lasting Thumbprints. You’ll find all of your family’s favorites on here!